The Territory of Cocos (Keeling) Islands is an Australian external territory in the Indian Ocean, comprising a small archipelago approximately midway between Australia and Sri Lanka and closer to the Indonesian island of Sumatra. It is part of Southeast Asia and is in the Southern Hemisphere. The territory's dual name (official since the islands’ incorporation into Australia in 1955) reflects that the islands have historically been known as either the Cocos Islands or the Keeling Islands. ^ English does not have de jure status in Cocos (Keeling) Island and in Australia, but it is the de facto language of communication in government. 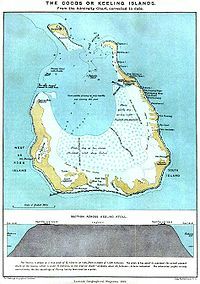 The territory consists of two atolls made up of 27 coral islands, of which only two – West Island and Home Island – are inhabited. The population of around 600 people consists mainly of Cocos Malays, who practise Sunni Islam and speak a dialect of Malay as their first language. The territory is administered by the Australian federal government's Department of Infrastructure, Regional Development and Cities, and together with Christmas Island (which is about 960 kilometres (600 mi) to the east) forms the Australian Indian Ocean Territories administrative unit. However, the islanders do have a degree of self-government through the local shire council. Many public services – including health, education, and policing – are provided by the state of Western Australia, and Western Australian law applies except where the federal government has determined otherwise. 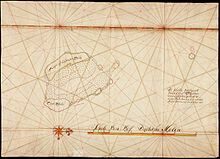 The islands were first discovered in 1609 by William Keeling, but no settlement occurred until the early 19th century. One of the first settlers was John Clunies-Ross, a Scottish merchant; much of the island's current population is descended from the Malay workers he brought in to work his copra plantation. The Clunies-Ross family ruled the islands as a private fiefdom for almost 150 years, with the head of the family usually recognised as resident magistrate. The British formally annexed the islands in 1857, and for the next century they were officially administered from either Ceylon or Singapore. The territory was transferred to Australia in 1955, although until 1979 virtually all of the island's real estate still belonged to the Clunies-Ross family. 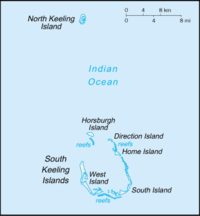 The islands have been called the Cocos Islands (from 1622), the Keeling Islands (from 1703), the Cocos–Keeling Islands (since James Horsburgh in 1805) and the Keeling–Cocos Islands (19th century). 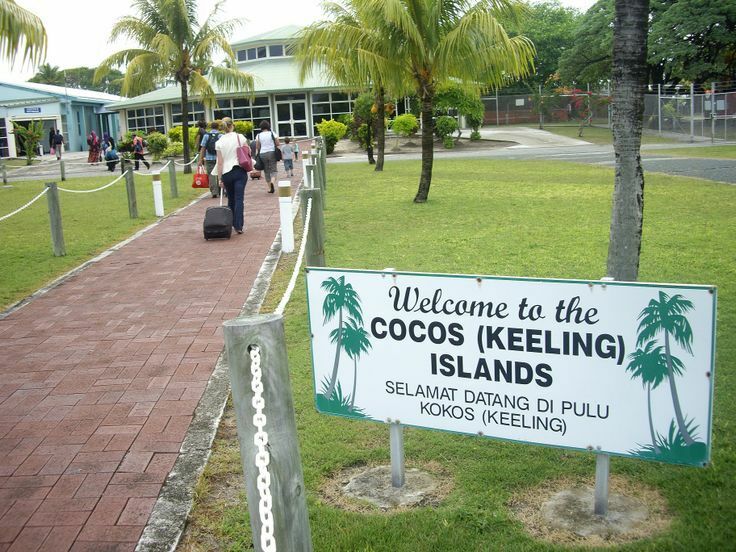 Cocos refers to the abundant coconut trees, while Keeling is William Keeling, who discovered the islands in 1609. 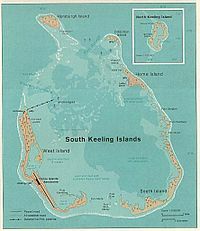 John Clunies-Ross, who sailed there in the Borneo in 1825, called the group the Borneo Coral Isles, restricting Keeling to North Keeling, and calling South Keeling "the Cocos properly so called". The form Cocos (Keeling) Islands, attested from 1916, was made official by the Cocos (Keeling) Islands Act 1955. The territory's Malay name is Pulu Kokos (Keeling). Sign boards on the island also feature Malay translations. In 2010, the population of the islands is estimated at just over 600. The population on the two inhabited islands generally is split between the ethnic Europeans on West Island (estimated population 100) and the ethnic Malays on Home Island (estimated population 500). A Cocos dialect of Malay and English are the main languages spoken, and 80% of Cocos Islanders are Sunni Muslim. The archipelago was discovered in 1609 by Captain William Keeling of the East India Company, on a return voyage from the East Indies. North Keeling was sketched by Ekeberg, a Swedish captain, in 1749, showing the presence of coconut palms. It also appears on a 1789 chart produced by British hydrographer Alexander Dalrymple. In 1825, Scottish merchant seaman Captain John Clunies-Ross stopped briefly at the islands on a trip to India, nailing up a Union Jack and planning to return and settle on the islands with his family in the future. Wealthy Englishman Alexander Hare had similar plans, and hired a captain – coincidentally, Clunies-Ross's brother – to bring him and a volunteer harem of 40 Malay women to the islands, where he hoped to establish his private residence. Hare had previously served as resident of Banjarmasin, a town in Borneo, and found that "he could not confine himself to the tame life that prosy civilisation affords". Clunies-Ross returned two years later with his wife, children and mother-in-law, and found Hare already established on the island and living with the private harem. A feud grew between the two. Clunies-Ross's eight sailors "began at once the invasion of the new kingdom to take possession of it, women and all". After some time, Hare's women began deserting him, and instead finding themselves mates amongst Clunies-Ross's sailors. Disheartened, Hare left the island. He died in Bencoolen in 1834. 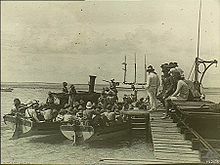 Encouraged by members of the former harem, Clunies-Ross then recruited Malays to come to the island for work and wives. Clunies-Ross's workers were paid in a currency called the Cocos rupee, a currency John Clunies-Ross minted himself that could only be redeemed at the company store. The islands were annexed by the British Empire in 1857. This annexation was carried out by Captain Stephen Grenville Fremantle in command of HMS Juno. Fremantle claimed the islands for the British Empire and appointed Ross II as Superintendent. In 1878, by Letters Patent, the Governor of Ceylon was made Governor of the islands, and, by further Letters Patent in 1886, responsibility for the islands was transferred to the Governor of the Straits Settlement to exercise his functions as "Governor of Cocos Islands". The islands were made part of the Straits Settlement under an Order in Council of 20 May 1903. Meanwhile, in 1886 Queen Victoria had, by indenture, granted the islands in perpetuity to John Clunies-Ross. The head of the family enjoyed semi-official status as Resident Magistrate and Government representative. On the night of 8–9 May 1942, 15 members of the garrison, from the Ceylon Defence Force, mutinied under the leadership of Gratien Fernando. The mutineers were said to have been provoked by the attitude of their British officers and were also supposedly inspired by Japanese anti-British propaganda. They attempted to take control of the gun battery on the islands. The Cocos Islands Mutiny was crushed, but the mutineers murdered one non-mutinous soldier and wounded one officer. Seven of the mutineers were sentenced to death at a trial that was later alleged to have been improperly conducted, though the guilt of the accused was admitted. Four of the sentences were commuted, but three men were executed, including Fernando. These were to be the only British Commonwealth soldiers executed for mutiny during the Second World War. In the 1970s, the Australian government's dissatisfaction with the Clunies-Ross feudal style of rule of the island increased. In 1978, Australia forced the family to sell the islands for the sum of A$6,250,000, using the threat of compulsory acquisition. By agreement, the family retained ownership of Oceania House, their home on the island. In 1983, the Australian government reneged on this agreement and told John Clunies-Ross that he should leave the Cocos. The following year the High Court of Australia ruled that resumption of Oceania House was unlawful, but the Australian government ordered that no government business was to be granted to Clunies-Ross's shipping company, an action that contributed to his bankruptcy. John Clunies-Ross now lives in Perth, Western Australia. However, some members of the Clunies-Ross family still live on the Cocos. The current Administrator is Natasha Griggs, who was appointed on 5 October 2017 and is also the Administrator of Christmas Island. These two Territories comprise the Australian Indian Ocean Territories. The Australian Government provides Commonwealth-level government services through the Christmas Island Administration and the Department of Infrastructure and Regional Development. As per the Federal Government's Territories Law Reform Act 1992, which came into force on 1 July 1992, Western Australian laws are applied to the Cocos Islands, "so far as they are capable of applying in the Territory. "; non-application or partial application of such laws is at the discretion of the federal government. The Act also gives Western Australian courts judicial power over the islands. The Cocos Islands remain constitutionally distinct from Western Australia, however; the power of the state to legislate for the territory is power delegated by the federal government. The kind of services typically provided by a state government elsewhere in Australia are provided by departments of the Western Australian Government, and by contractors, with the costs met by the federal government. There also exists a unicameral Cocos (Keeling) Islands Shire Council with seven seats. A full term lasts four years, though elections are held every two years; approximately half the members retire each two years. 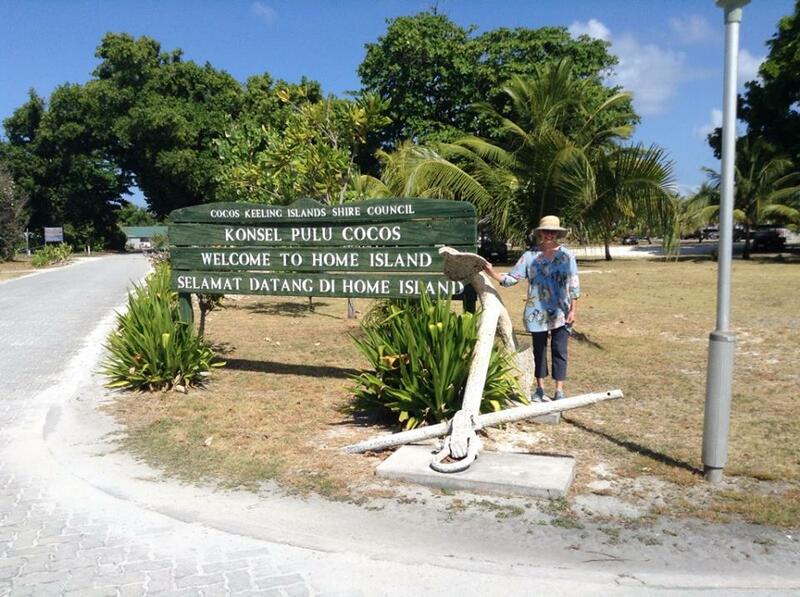 Cocos (Keeling) Islands residents who are Australian citizens also vote in federal elections. Cocos (Keeling) Islanders are represented in the House of Representatives by the member for the Division of Lingiari (in the Northern Territory) and in the Senate by Northern Territory senators. At the 2016 federal election, the Labor Party received absolute majorities from Cocos electors in both the House of Representatives and the Senate. Defence is the responsibility of the Australian Defence Force. There are no active military installations or defence personnel on the islands. The Administrator may request the assistance of the Australian Defence Force if required. The 2016 Australian Defence White Paper stated that the airfield in the island would be upgraded to support the RAAF's P-8 Poseidon maritime patrol aircraft. Home Island and West Island have medical clinics providing basic health services, but serious medical conditions and injuries cannot be treated on the island and patients are sent to Perth for treatment, a distance of 3,000 km (1,900 mi). The Cocos Islands are strategically important because of their proximity to shipping lanes in the Indian and Pacific oceans. The United States and Australia have expressed interest in stationing surveillance drones on the Cocos Islands. Euronews described the plan as Australian support for an increased American presence in Southeast Asia, but expressed concern that it was likely to upset Chinese officials. James Cogan has written for the World Socialist Web Site that the plan to station surveillance drones at Cocos is one component of former US President Barack Obama's "pivot" towards Asia, facilitating control of the sea lanes and potentially allowing US forces to enforce a blockade against China. After plans to construct airbases were leaked to the Washington Post, Australian defence minister Stephen Smith stated that the Australian government views the "Cocos as being potentially a long-term strategic location, but that is down the track." Internet access on Cocos is provided by CiiA (Christmas Island Internet Association), and is supplied via satellite ground station on West Island, and distributed via a wireless PPPoE-based WAN on both inhabited islands. Casual internet access is available at the Telecentre on West Island and the Indian Ocean Group Training office on Home Island. The National Broadband Network announced in early 2012 that it would extend service to Cocos in 2015 via high-speed satellite link. There is a school in the archipelago, Cocos Islands District High School, with campuses located on West Island (Kindergarten to Year 10), and the other on Home Island (Kindergarten to Year 6). CIDHS is part of the Western Australia Department of Education. School instruction is in English on both campuses, with Cocos Malay teacher aides assisting the younger children in Kindergarten, Pre-Preparatory and early Primary with the English curriculum on the Home Island Campus. The Home Language of Cocos Malay is valued whilst students engage in learning English. The last bombing raid of World War II by 99, 356 and 321 Squadrons is cancelled, 15 August 1945. Prince Philip waves goodbye as he and Queen Elizabeth, accompanied by John Clunies-Ross, return to their ship from Home Island (1954). 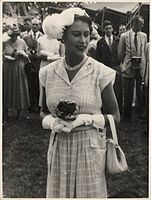 Queen Elizabeth at a garden party held in her honour at Home Island (1954). ^ a b c Woodroffe, C.D. ; Berry, P.F. (February 1994). Scientific Studies in the Cocos (Keeling) Islands: An Introduction. Atoll Research Bulletin. 399. Washington DC: National Museum of Natural History. pp. 1–2. ^ "Dynasties: Clunies-Ross". www.abc.net.au. Archived from the original on 31 August 2014. Retrieved 6 January 2016. ^ Horsburgh, James (1841). "Islands to the Southward and South-eastward of Java; The Keeling or Cocos Islands". The India directory, or, Directions for sailing to and from the East Indies, China, Australia, and the interjacent ports of Africa and South America: comp. 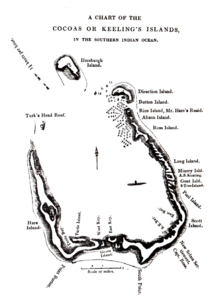 chiefly from original journals of the honourable company's ships, and from observations and remarks, resulting from the experience of twenty-one years in the navigation of those seas. Vol.1 (5th ed.). London: W.H. Allen and Co. pp. 141–2. ^ Ross, J. C. (May 1835). "The Cocos' Isles". The Metropolitan. Peck and Newton. p. 220. ^ Weber, Max Carl Wilhelm; Weber, Lieven Ferdinand de Beaufort, Max Wilhelm Carl (1916). The Fishes of the Indo-australian Archipelago. Brill Archive. p. 286. Retrieved 26 August 2015. ^ "Klimatafel von Kokos-Insel (Cocos Island, Flugh. ), Indischer Ozean / Australien" (PDF). Federal Ministry of Transport and Digital Infrastructure. Retrieved 16 June 2016. ^ a b "Cocos (Keeling) Islands". The World Factbook. CIA. Retrieved 27 January 2012. ^ Pulu Keeling National Park Management Plan. Australian Government. 2004. ISBN 0-642-54964-8. ^ "Gleanings in Science, Volume 2". Baptist Mission Press. 1830. ^ "BBC NEWS - Programmes - From Our Own Correspondent - The man who lost a 'coral kingdom'". ^ "The Cocos Islands". The Chambers's Journal. 76: 187–190. 1899. ^ S.R.O. & S.I. Rev. XXI, 512. ^ Cruise, Noel (2002). The Cocos Islands Mutiny. Fremantle: Fremantle Arts Centre Press. p. 248. ISBN 1-86368-310-0. ^ Fail, J.E.H. "FORWARD STRATEGIC AIR BASE COCOS ISLAND". www.rquirk.com. Retrieved 13 February 2013. ^ Colony of Singapore. Government Gazette. (1946, April 1). The Singapore Colony Order in Council, 1946 (G.N. 2, pp. 2–3). Singapore: [s.n.]. Call no. : RCLOS 959.57 SGG; White paper on Malaya (1946, January 26). The Straits Times, p. 2. Retrieved from NewspaperSG; Tan, K. Y. L. (Ed.). (1999). The Singapore legal system (pp. 232–233). Singapore: Singapore University Press. Call no. : RSING 349.5957 SIN. ^ Stokes, Tony (2012). Whatever Will Be, I'll See: Growing Up in the 1940s, 50s and 60s in the Northern Territory, Christmas and the Cocos (Keeling) Islands, New South Wales and the Australian Capital Territory. Tony Stokes. p. 238. ISBN 9780646575643. ^ Cocos Keeling, the islands time forgot (1974). Ken Mullen. published by Angus & Robertson, Sydney. 122 pages. ^ "Cabinet papers: The last King of Cocos loses his palace". The Sydney Morning Herald. Retrieved 1 January 2016. ^ Kenneth Chen, "Pacific Island Development Plan: Cocos (Keeling) Islands- The Political Evolution of a Small Island Territory in the Indian Ocean" (1987): Mr Chen was Administrator, Cocos Islands, from December 1983 – November 1985. ^ "Lost in transition". www.theaustralian.com.au. 31 August 2009. Retrieved 27 December 2018. ^ "Cocos (Keeling) Islands Act 1955". ^ First Assistant Secretary, Territories Division (30 January 2008). "Territories of Australia". Attorney-General's Department. Archived from the original on 6 February 2008. Retrieved 7 February 2008. The Federal Government, through the Attorney-General's Department administers Ashmore and Cartier Islands, Christmas Island, the Cocos (Keeling) Islands, the Coral Sea Islands, Jervis Bay, and Norfolk Island as Territories. ^ "Commonwealth of Australia Administrative Arrangements Order made on 18 September 2013" (PDF). Australian Government Department of the Prime Minister and Cabinet. 18 September 2013. Archived from the original (PDF) on 14 October 2013. ^ "Territories Law Reform Act 1992". ^ "Profile of the electoral division of Lingiari (NT)". Australian Electoral Commission. Retrieved 2 May 2016. ^ "2016 Defence White Paper (para. 4.66)" (PDF). defence.gov.au. ^ Jackson, Belinda (4 December 2016). "Cossies Beach, Cocos (Keeling) Islands: Beach expert Brad Farmer names Australia's best beach 2017". traveller.com.au. Fairfax Media. Retrieved 4 December 2016. ^ Bonnor, James (22 August 2016). "Australia appoints Brad Farmer to beach ambassador role". www.surfersvillage.com. XTreme Video. Archived from the original on 20 December 2016. Retrieved 4 December 2016. ^ a b Cogan, James, "US Marines begin operations in northern Australia." World Socialist Web Site, 14 April 2012. ^ Whitlock, Craig, "U.S., Australia to broaden military ties amid Pentagon pivot to SE Asia", The Washington Post, 26 March 2012. ^ McGuirk, Rod, "Australia to Welcome 250 US Marines next Month, Plays down Proposal for Indian Ocean Air Base. "[dead link] Associated Press, 27 March 2012. ^ Kidman, Alex, "NBN To Launch Satellites in 2015." Gizmodo, 8 February 2012. ^ "List of licensed broadcasting transmitters". ACMA. Retrieved 28 December 2013.